Luxurious and elegant, our 100% silk shell dress with stand collar and handy pockets is made exclusively in Japan using patented techniques. Golden flowers are specially arranged on a shimmering pink background, calling to mind traditional Japanese kimono motif placement. 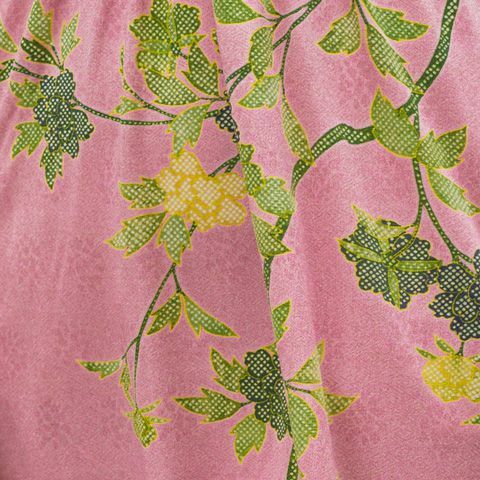 Pretty flowers flow effortlessly across the printed texture pink background of our stunning Hana Kurenai dress.